The Larrakia people are the traditional owners of the Darwin region. Indigenous art work is dotted around in many places – not just in galleries and museums. 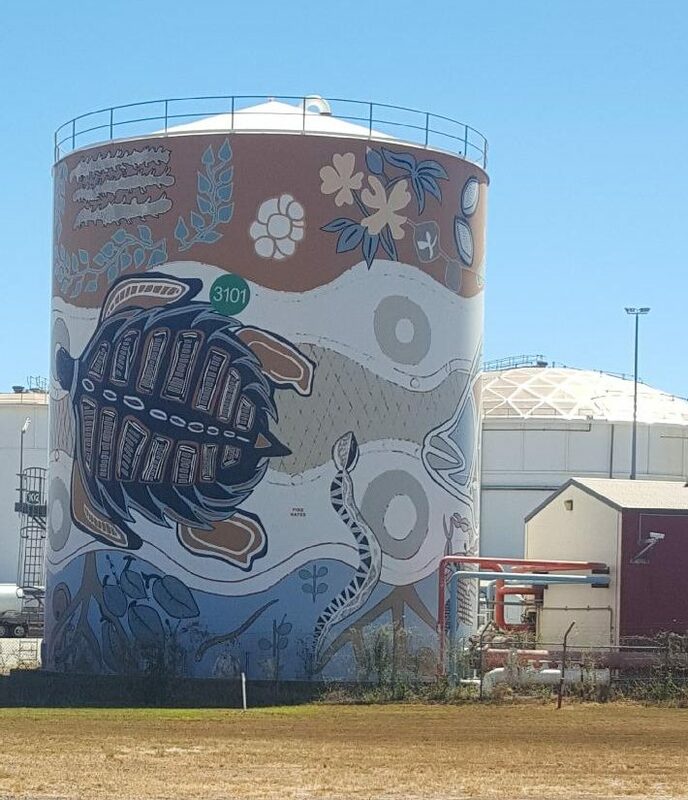 We unexpectedly came across this beautifully painted silo in the boondocks. The buildings here are very colourful. If nothing else, many of the apartment blocks feature splashes of block colour, giving a feeling of tropical vibrancy. 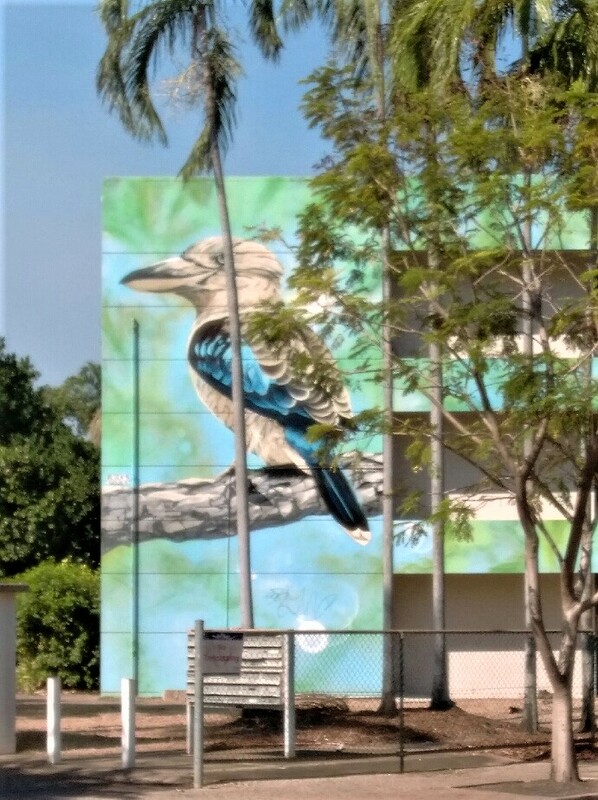 Darwin’s first street art festival The Walls that Talk, took place in October 2017. 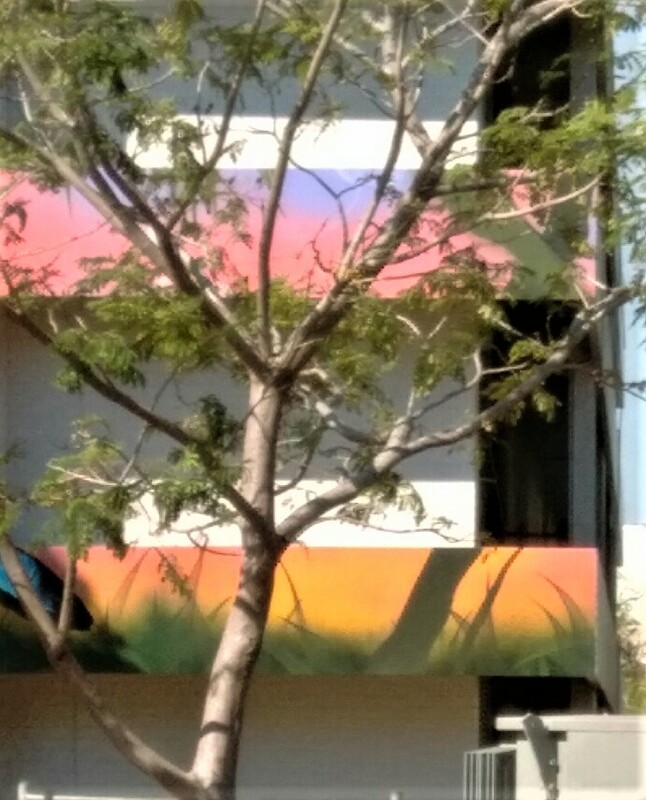 The intitiative saw leading Australian artists collaborating with local artist to paint eight Darwin CBD buildings and walls with images unique to the Territory. 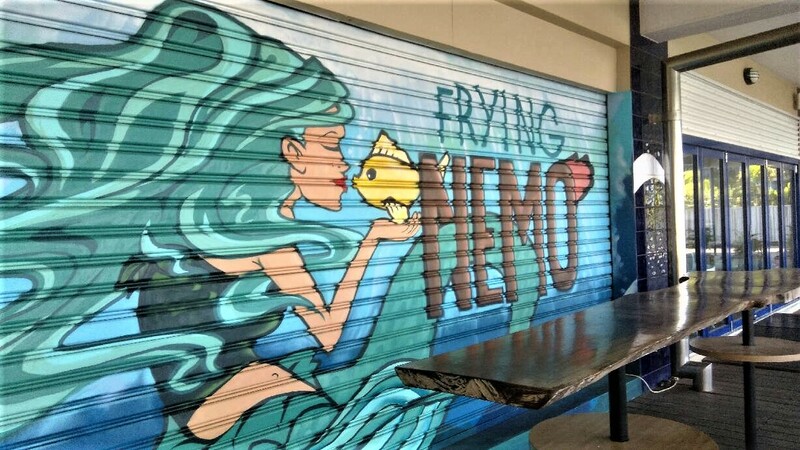 It, of course, is not the only urban art that captures the eye and imagination as you travel around this city and its outskirts. There is much here to delight the senses. I love street, and your pictures highlight some great ones. You are having a great time aren’t you? Fabulous. We’ve seen a lot, that’s for sure. Two more days. Marc is not working so we can spend time touring with him before we leave Monday morning. Love street art. How did I not see any of this when I was up there. Thanks Raili, these are fantastic artworks. They are quite something ! This street art is truly art! It reminds me of certain parts of Brooklyn, New York, where buildling walls are filled with these wonderful expressions as well. A perfect canvas. What a delightful, delightful place. I would look at those all day. Love , love all the beautiful artwork! Very nice. Sure beats looking a a blank wall. very nice and uplifting artwork.